No matter how solid and well built your conservatory might be, sooner or later it will require repairs of some kind. The most common problems that can arise are leaks from the roof. These can be leaks from the flashing at the point where the house and conservatory join, leaks from a gutter or down pipe causing rotting of nearby window frames, or leaks from blocked valley gutters. There are also many other possible places where leaks can occur in your conservatory. 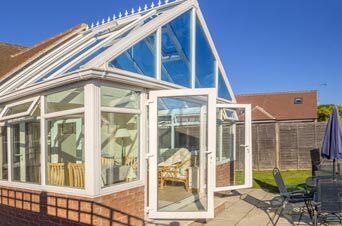 Most problems with conservatories that require repairs happen during the winter months. High winds can blow objects around that can collide with your conservatory, causing damage. Heavy snow falls can cause an overload of snow lying on the roof that can lead to warped or cracked guttering, or broken brackets, which in turn will usually result in leaks. Severe frosts can also cause cracking in some materials. To keep on top of things, you should conduct an examination of your conservatory every few weeks during winter months, and at least once a month. Don’t assume everything will be fine during the summer months; do checks over the summer too. A simple visual inspection will usually do, but use a ladder to get up to roof level to see close up what exactly is the condition of your conservatory roof. You should not write off slight damage as something that can wait and be dealt with later. Make a note of everything that needs repairing, however slight, and get it repaired as soon as you possibly can. 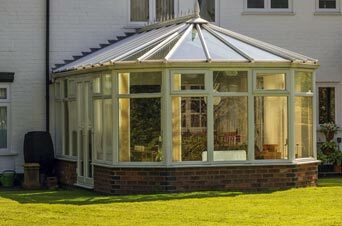 Conservatory windows, whether sliding types or swing out types, are often where repairs are needed. If the frames are wooden, they might rot over time, especially if they are close to leaks. Windows can become difficult to open or close due to warping of frames, and this will need attention. The best way to minimise the need for conservatory repairs is through regular inspections and maintenance. 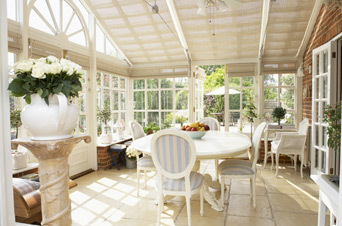 Keep the exterior of your conservatory clean. Wash it regularly using a mild detergent with ‘soft’ water, if possible. Be careful cleaning all glass areas, and avoid harsh chemicals and abrasive materials. Small gaps that appear around the edges of windows and doors can often be sealed effectively with mastic. This is a plastic type of sealer that is cheap to purchase and easy to use. 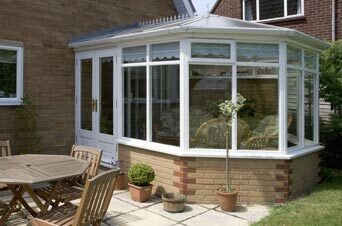 You should only attempt to make repairs to your conservatory if you are sure that you can do so properly. Most of the work involved is not particularly difficult, but if you are not quite certain that you can do the job to the right and proper standards, then get a builder to help. It will cost a bit more, of course, but bear in mind that it could cost you even more in the long term if you make bad mistakes in your repair attempts through inexperience. If you live in or near Birmingham or Redditch, or in any of the nearby surrounding areas, then pinnacle-windows.co.uk are an excellent choice for finding replacement parts for repairing your conservatory.